A wonderfully whimsical collection of fabric, wool felt & techniques, Urban Owl is sure to be the talk of the town! Call or come by the store to see the awesome sample and sign up. 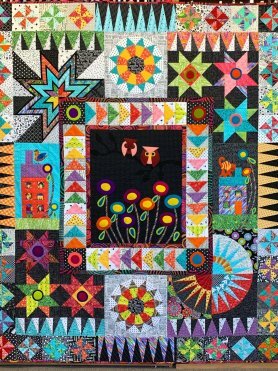 A Nancy's Calico Patch CHALLENGE! This challenge is a little crazy! Grab your hard hat and needed tools to construct your perfect neighborhood. 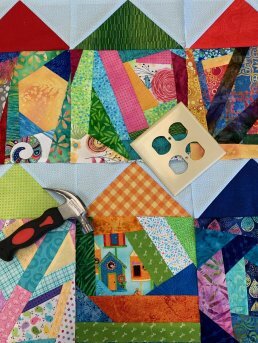 Using your scraps (or ours) piece together your favorite houses, your neighbor's homes and maybe a home or two for Fido! 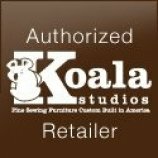 Be sure to stop in for your NCP Punch Card. 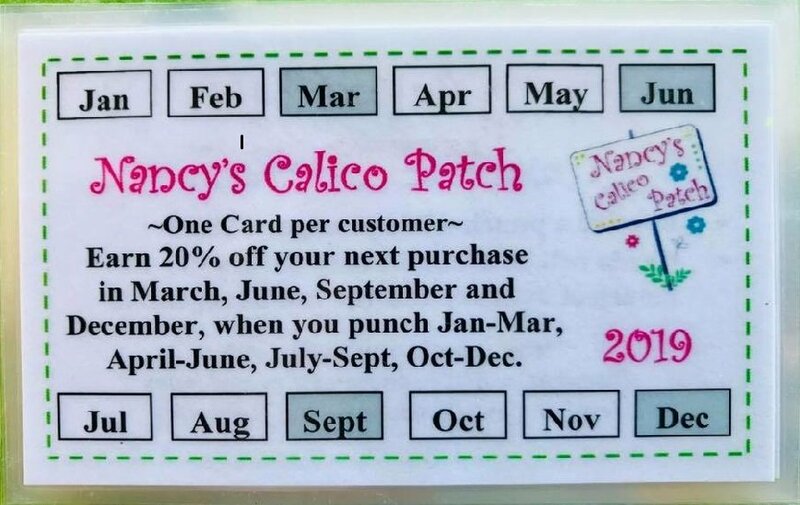 Earn 20% off your next purchase in March, June, September and December, when you punch Jan.-Mar., April-June, July-Sept.,Oct.-Dec. You receive a punch when you spend $25.